This year’s model of the Kia Sorento boasts some significant changes. The autonomous emergency braking system is available on all models except for the base model, which makes the driving experience feel safer. Android Auto and Apple CarPlay are also accessible on the LX model. These options make electronic communications easier. 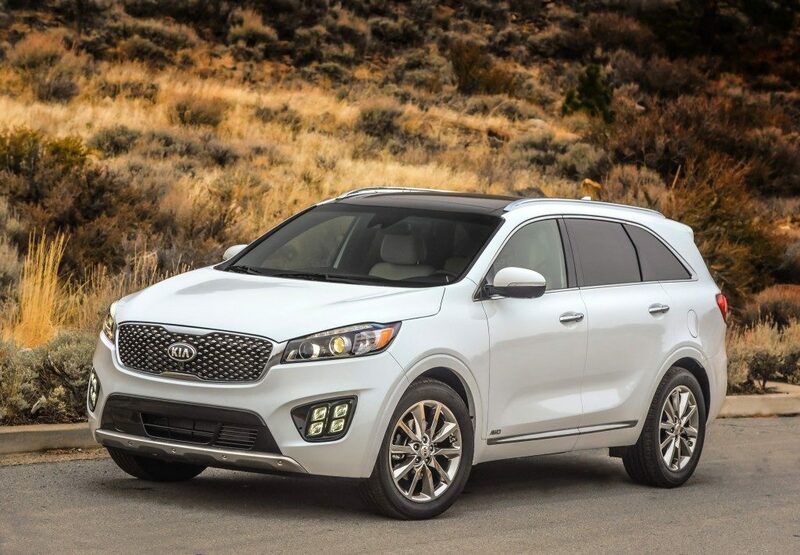 Other than these additions, many of the features that Kia Sorento fans have come to love and adore are still available, especially given the complete redesign the model saw last year. The 2017 Sorento comes standard with five seats, but there is an optional a third seat to increase the number of passengers to seven. Most of the trims have heated seats for the first and second rows, and the front rows are ventilated. The third row, as with other makes and models, can only comfortably fit smaller adults or children. The first and second rows of seating do offer a great deal of leg room. The second row seats slide easily and also offer a reclining feature. There are a variety of available options for the Kia Sorento. Other than the standard option, called simply the L, there is the LX, EX, SX, and SXL trim levels. This variety of options allows consumers to fine-tune what they want exactly out of a model of this caliber. The L comes equipped with a 2.4 liter GDI dual CVVT 4-cylinder engine, and so does the LX. The EX and SX Limited have the 2.0 liter GDI turbocharged 4-cylinder engine. The LX V6, EX V6, SX V6, and SX Limited V6 all come equipped with the 3.3 liters GDI dual CVVT 6-cylinder V6 engine. All models except for the SX variants come with column mounted motor driven power steering. The SX variants come with rack-mounted power steering instead. The cabin design is rather impressive. The materials make for a premium feel, especially considering the moderate price of each model variant. The cloth material is sturdy, too. Cargo space is abundant. On average, a 2017 Sorento offers about 38 cubic feet for those models with just the second row, but the models with the third row can host as much as 73 cubic feet when the second and third rows are folded down. This model takes the general idea behind the changes made in 2016 and perfects them to the extreme. Honestly, it has the responsiveness and refinement that other makes and models in the same class lack. The engines offered are rather powerful, too. Many specs might point a buyer to want to try the V6 versions of the engine, but the 2.0 turbo versions seem to have more pep. The turbocharged engine hosts 240 horsepower and 260 pound-feet. The V6 variants see 50 more horsepower. Peak torque can be achieved at 1,450 rpm. The V6 models have a little bit of shock to their transmission shifting, and there is a bit of turbo lag that does not happen in the Optima and Sportage models the Kia also offers. Kia covers the 2017 Sorento with the standard warranty that it gives all of its models: five years or 60,000 miles, but the powertrain extends to ten years and 100,000 miles. The National Highway Traffic Safety Administration has also given several of the variants of this model with great ratings. The Overall Rating is at five stars. The Frontal Crash and Side Crash results from land at the same rating. The Rollover rating is at four stars. So far, there has only been one recall on the 2017 Kia Sorento. There is a concern with the electrical system, but this feature can be fixed at any Kia dealer for no cost to the owner. This vehicle is not the best choice for the off-roading lifestyle. However, when it comes to making use of the AWD system on a daily basis, normal travel situations are handled easily. Mud, deep snow or sand are handled with ease when the differential lock mode kicks in to split power needs 50/50. The automatic transmission has a great deal of horsepower, which means accelerating to the desired speed easily without much hesitation or loss of power. Though, the base 4-cylinder does sometimes struggle under extra weight, which is concerning considering the Sorento allows for such hauling judging by its size. Test drivers have reported that the steering and braking systems respond well in various situations, too. As far as reliability goes, the Sorento fairs rather well. When compared to the J.D. Power and Associates standards, it ranks with a four out of five on the scale. The Kia Sorento offers a lot for the right price. However, consumers need to be sure that they pick the right engine option based on the hauling and passenger capacity they need to do on a daily or frequent basis. Overall, this vehicle is rated at one of the best in its class, and it does not disappoint overall.